If your current payroll company isn’t able to offer solutions for meeting new regulatory requirements like the ACA (Obamacare), it’s time to make a change. Starting in 2015, employers need to worry about compliance with Section 6055 and 6056 of the Affordable Care Act, also known as the Employer Mandate. This includes determining whether or not they are considered an “Applicable Large Employer”, which employees are considered full time under the ACA, ensuring plan offerings are considered “Affordable” and making sure the data elements and process are present for the required year end reporting. This creates a new compliance and reporting burden on employers that never existed before. The cost of non-compliance will result in thousands of dollars of potential penalties to an employer. 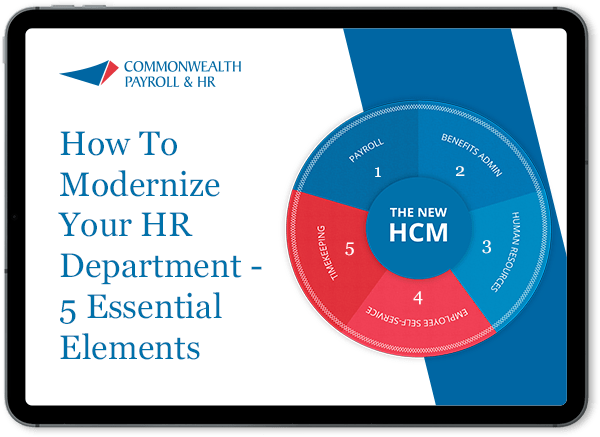 Commonwealth’s ACA Toolkit is the resource for larger employers wrestling with this new challenge and needing to put process in place to comply with the Employer Mandate. If your current payroll company isn’t able to offer solutions for meeting new regulatory requirements like the ACA (Obamacare), it’s time to make a change. The Commonwealth solution will help you implement a stress-free process to seamlessly satisfying Uncle Sam’s requirements. 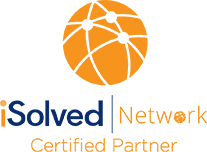 With iSolved, you can determine if your company has ACA requirements and can help you stay compliant. You’ll have a range of features that you can turn on as you need them.